How black holes get larger is something that has puzzled scientists for a long time. Now, through data gathered by the use of the CSIRO’s Parkes radio telescope, that question might have been, in part, answered for them. One thing’s for sure — supermassive black holes don’t get bigger through consuming snack cakes, Reese Pieces, nor planets. They become supermassive black holes, such as the ones situated smack in the middle of all large galaxies — including the Milky Way, our own — because of gravitational waves, according to a recent study co-authored by Ramesh Bhat. Bhat states that it’s “almost impossible” to observe black holes directly, so the radio telescope, located in eastern Australia, has been crucial to the development of another method to detect and observe black holes. That “other method” to study black holes and how some of them become supermassive involves detecting gravitational waves. These waves are created when extremely large bodies, such as planets, stars, or black holes, change direction or speed. The gravitational waves can be caused when pairs of black holes orbit each other. Eventually, when two galaxies merge, their black holes will do the same. When they orbit around each other, they emit gravitational waves. Astronomers can detect these waves by using radio telescopes, or could, if they first manage to locate two orbiting black holes. What astronomers are doing is examining 20 pulsars to detect any alterations in the arrival times of the pulses that they emit. Pulsars act like precise clocks, in that in general, their pulses can be measured with extreme precision. 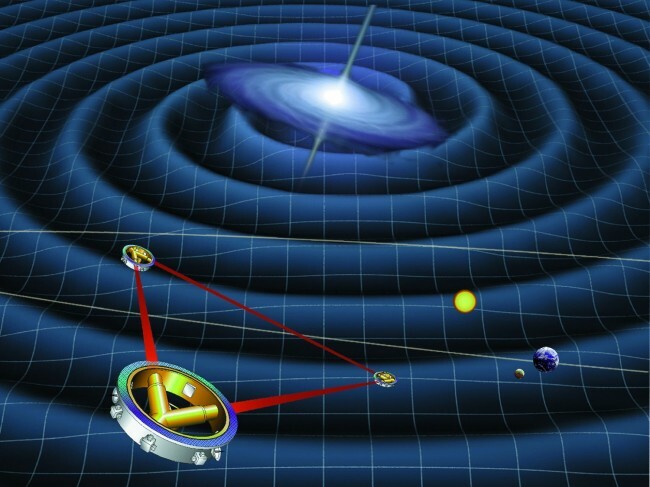 However, if gravitational waves roll through the area of space-time which a pulsar is located in, then the arrival time of it’s pulses on Earth is altered. Any alteration detected by astronomers indicates that something, such as gravitational waves, are responsible. According to Bhat, how strong the backgrounds are of the gravitational waves are depends on three factors, one being how frequently the merging of supermassive black holes occurs. The second factor would be how massive the black holes are, and the third one has to do with how distant they are. By studying these gravitational waves and the black holes that cause them, astronomers have come up with four models as to how black holes grow in size. One that they’ve ruled out is that black holes only become larger through merging with each other, though orbiting black holes eventually domerge. What’s useful about being able to eliminate models for the growth of black holes is that doing so will hopefully lead to arriving at the exact science behind how black holes become supermassive ones. The use of radio telescopes, such as the one in Australia, provides astronomers with an important tool to arrive at a better understanding or how black holes become supermassive, and the role that gravitational waves play in this process. The study on how black holes grow to becomes supermassive ones is in the journal Science. What causes black holes to become supermassive? Not through merging with each other, though that might play a role in their growth. By studying gravitational waves and how they affect the pulses emitted by pulsars, scientists are coming closer to arriving at an answer to this question. With the help of radio telescopes, scientists are getting tantalizingly closer to the truth.